Life just keeps getting fuller for actress Karen Allen. At 64 she plays the lead role in the new film Year by the Sea and later this year she will direct her first film—a project she’s wanted to do for more than 40 years. Allen took some time out to share her thoughts about her role in Year by the Sea and to reflect on how she managed to find balance between raising her son, pursuing an acting career, and attaining personal fulfillment. The first time I saw Karen Allen onscreen was in 1981 in Raiders of the Lost Ark, and I was captivated. She played Marion, the hard-drinking, independent, feisty leading lady who needs no rescuing by the film’s hero, Harrison Ford (or any other man, for that matter). The character she played wasn’t like any kind of leading lady I had ever seen on-screen before. She was a total Badass. She was cool, smart, brave, and beautiful, and she wasn’t afraid to say what she really felt. She was the first female film hero I could relate to as a teenage girl, and the character she created made an indelible impression on me. 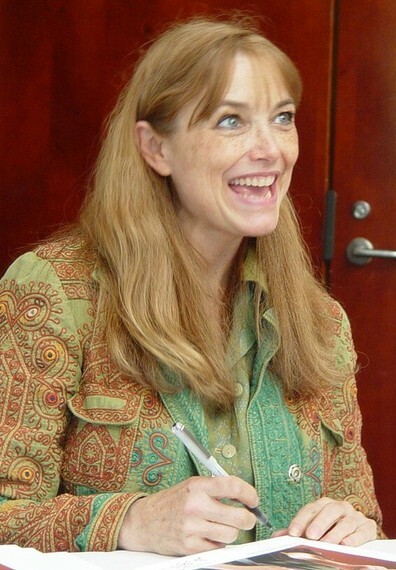 Off-screen, I found the real-life Karen Allen to be equally as impressive. She has chosen a path anchored in what she values most, rather than the values imposed on her by fans, Hollywood, or the giant pressure-filled money machine that drives it. One of the things I felt very strongly about as a young actor was the power of the word “no.” People try to pressure you to do stuff that you don’t think is very interesting, or you think, “Well, I don’t like the way this woman is being portrayed in this film.” I don’t know exactly where I got the confidence to feel that way, but I felt it very early on. With this confidence, Allen built an extremely successful film acting career, starring in not only Raiders of the Lost Ark but a myriad of other high-profile Hollywood films like Animal House, Star Man, Until September and many more. At age 38 she gave birth to her son, Nicholas, and found herself at a crossroads. Until then I had been really very focused on my own life, and my world turned when I became a mother. I began to re-assess what my priorities were and what I wanted them to be. When Nicholas was young, Allen continued to act in films and theater, but focused more on supporting roles. She turned down work that took her away from her home in New York for long periods of time or required demanding hours on the stage or on set. When you’re up there on that screen, people identify with you and there are certain expectations about what you should or shouldn’t be doing with your life. I felt like I had to justify the fact that my screen career wasn’t the center of my life at that point. When Nicholas turned 6, she and her husband, actor Kale Browne, divorced and Allen became a single parent. She decided to move to her country home in Great Barrington, Massachusetts, to give Nicholas a better quality of life. Allen began to teach acting as an adjunct professor at Bard College at Simon’s Rock, and also became involved with the Berkshire Theater Group, acting and directing in productions. Later, she started her own textile company, Karen Allen Fiber Arts. As an actor, you’re always waiting for people to say “Oh yes! Here’s a role for you.” I needed to do something where I wasn’t waiting for someone to give me permission to be creative . . . where I was creating something that I could do on my own terms. Through the years Allen has continued to be creative on her own terms, choosing film roles carefully. When she read the script for her upcoming film Year by the Sea, she found the story to be instantly relatable. I was bowled over by the script. I was so happy that someone was writing about this woman who is on this journey of discovering who she was and that the three main characters are all women over 60. I didn’t have a moment’s hesitation of feeling that this was a project I wanted to be a part of. 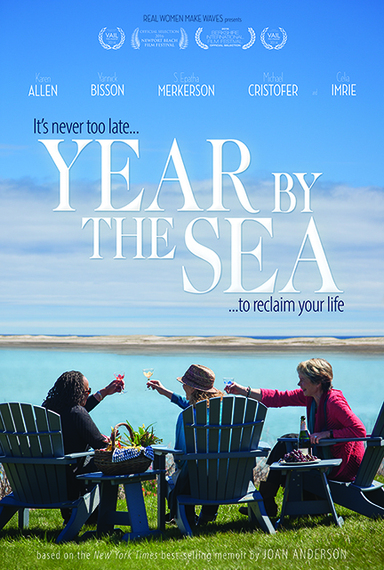 Year By The Sea, which screens later this month at the Newport Beach Festival, was adapted from the best-selling novel by Joan Anderson. Published in 1999, it’s Anderson’s own story about her decision to reclaim herself after leading a traditional life of wife and mother to two sons. With her children grown and her marriage faltering, she decides to separate from her husband and explore her own self-worth in a year by the Cape Cod seashore. Allen found many similarities between Joan Anderson’s journey and her own. I think the thread of Joan’s heartbreak was when she was moving away and didn’t think her sons would understand. She had a real need to discover herself, and I really relate to that deeply. I need those times where I’m not reacting to anybody else’s needs or ideas of what I should be doing. Almost every woman I know has come to a place where they have to ask, ‘What am I moving towards’? The novel has millions of fans worldwide eagerly anticipating the release of the film, which was adapted and directed by Alexander Janko. Janko spent seven years developing the film, after happening upon the novel and being touched by its universal themes. Alexander Janko so beautifully articulates Joan’s sense of her loss for what she’s leaving behind and not knowing what she’s going towards. He’s the kind of director an actor wants to work with. He is very respectful and interested in your thoughts, and he really explores them with you. Allen has explored her own directing prowess on the stage and is now set to make her first foray into film directing. The film, A Tree, A Rock, A Cloud, is adapted from a story by Carson McCullers that I read 40 years ago. It’s this beautiful kind of little Zen story, and I’ve always wanted to do something with it . . . we begin shooting in May. Excited for the future and looking back at all she’s accomplished, Allen reflects on her life, feeling that life gets better as she lives it. I had all these possibilities thrust on me at such a young age, and when I had a child, I had to stand on my own two feet and figure out who I was. My son is 25 now . . . I feel that he is living proof that I made all the right decisions, because he is such a lovely person. As we talk, it becomes clear to me that Karen Allen, much like the character she plays in Year By the Sea, has achieved a certain life balance that developed from being her most authentic self. I feel more creative, and more potential in myself to do things that I really care about, than ever before. That’s a good solid place to stand. I can’t wait to see what my first screen hero does next. One thing I know for certain is that with Karen Allen . . . we’re gonna get more than we bargained for.